Important files on our computer are the number one attentions we need when we have a computer. Because our computer is always in the center of the fault, because of the different factors or cause. Like the damage caused by viruses, user error- like not properly shut down, and damage cause of total blackout. Because our computer has no UPS or the battery of the UPS is drained. Another, we need also to backup the important files on our laptop. Because our laptop could be accidentally bumped and drop that will suffer the most data loss. And additionally, the 2.5 HDD platter or SSD could be damaged due to longer or regular use. So, Microsoft equip this new Windows OS for this problem may encounter by the users of desktop or in laptop computer. You can follow the instructions below. Use the start menu bottom left of your screen or else use or press the Windows key on your keyboard. 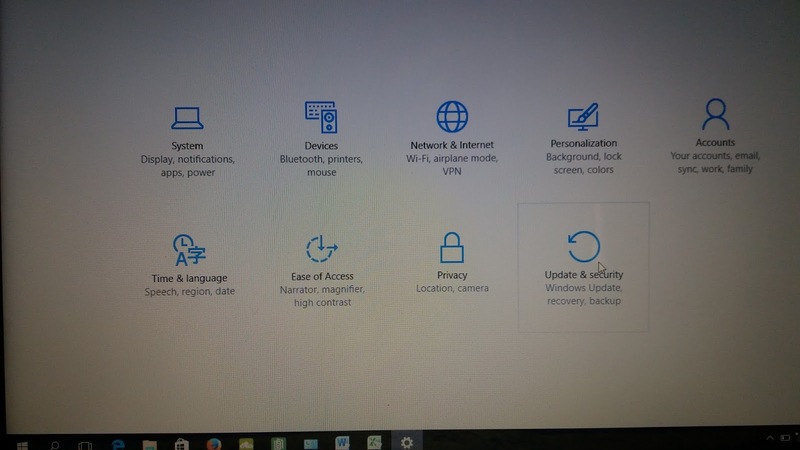 On the next screen, click on the “Update and Security”. On the left panel of your screen, “Select Backup”. Then connect your external HDD by connecting it in your USB port or use the docking port of your system using the SATA port. Be sure that your HDD has a big capacity like the 1 TB and 2 TB of HDD. Once you have connected it, “+” button next to add drive at the center of your screen. Once you see and select the drive letters where your backup HDD drive is detected and your content will be back up and the selection is complete, the slider will appear under the “Automatically Backup My Files”. All your files and folder will be a backup or copy to the backup HDD by default. Click on the “More Options” located under the slider. Then scroll down to “Backup This Folders” and add folders as you see the “+” button add folder option. If you want to exclude folder and files, simply click the folders and files you want to exclude. Find the “Remove” button on the lower right hand corner of its selection. You can configure the “Frequency and Duration” of backup history in this procedure. 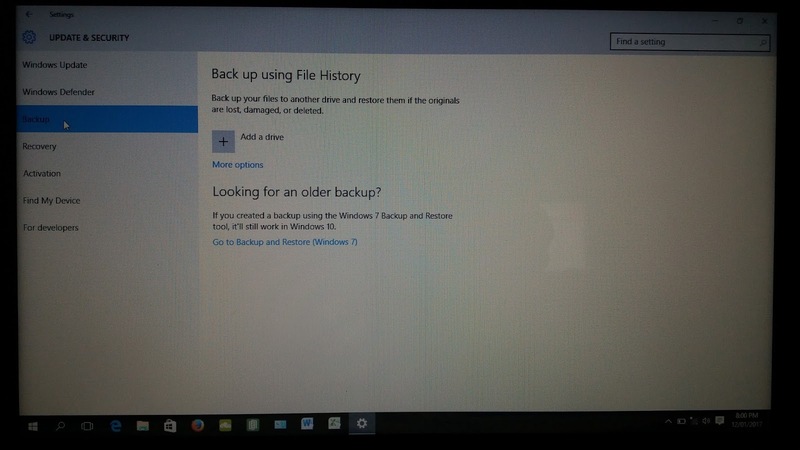 Now and then your system will perform to backup every time you use your computer with windows 10 OS, so you don’t worry now about your files. Because its secure now and backup to your backup HDD. See you next post.